He has scored 38 goals in 44 games for Liverpool since his move from Roma, last summer, Mohamed Salah’s contribution is one of the main reasons why Liverpool are third on the Premier League table. This year’s PFA Player of the Year award appears to be a straight battle between Liverpool’s Mohamed Salah and Manchester City’s mercurial midfielder Kelvin De Bruyne. 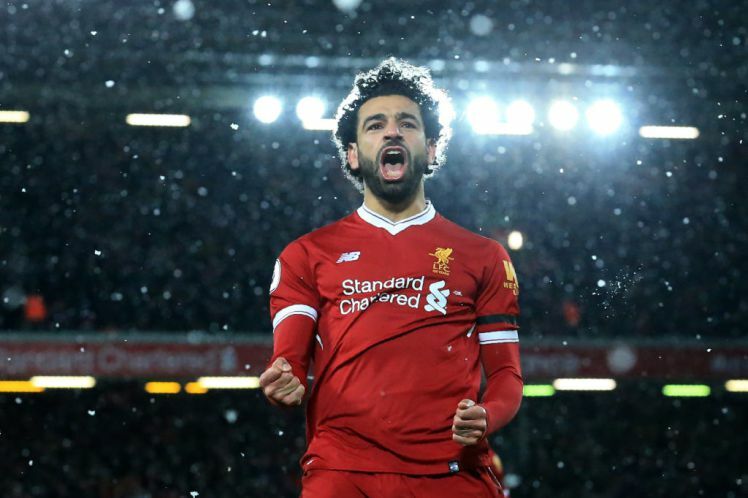 The Belgian international singled out Mohamed Salah, Harry Kane, David Silva and himself as the most outstanding players in the Premier League this season, but went further to say he had voted for Liverpool’s Mohamed Salah for the PFA player of the year award. In an interview with BT Sport ahead of City’s Champions League clash at Anfield on Wednesday evening, he said: ‘I vote for Salah, I wouldn’t know how to choose anyone else. De Bruyne has previously argued that he deserves to win the award over Mohamed Salah. De Bruyne has scored 12 goals this season and also has 19 assists to his credit. “Well, if I get it, it would be nice I think for the team and for me. In one way I believe I deserve it because I have been very consistent in my form,” De Bruyne said. “I am very happy with myself, I am very pleased with how I have played, I didn’t expect to be this good this season, to be honest”. ‘To maintain the same level with the number of games I have played, the number of minutes, I am very pleased with that”.